Android Wear 2.0 Release Date, Features, Apps, Watch Faces, News, Updates: Android Wear 2.0 is finally here, and everyone is excited about it. So, let us get to know about it. The rollout has been started. 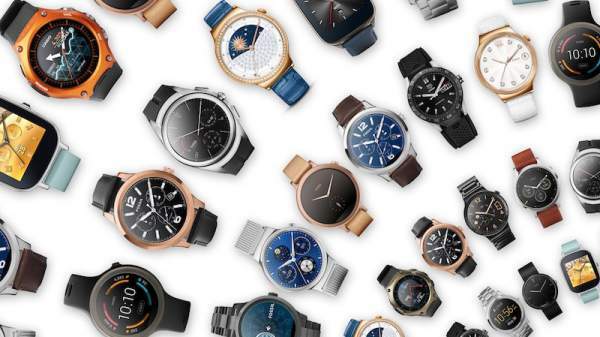 As of March 29, 2017, AndroidWear Google forums state that the update has been released for three smartwatches like the Fossil Q Founder, Casio Smart Outdoor, and Tag Heuer Connected. The official rollout should be completed by April 4, 2017. Not every Android smartwatch will be updated. It is the one of the biggest change in wear ecosystem till date. In the latest update, the users won’t require their Android phones with them to use apps on smartwatches. In 2.0, you can use Bluetooth, Wi-Fi or cellular in place of depending upon a tethered phone or cloud syncing. Due to this OS, your smartwatch will remain more functional though it is away from your phone. Earlier, iPhone users who owned these smartwatches had the lack of apps support, but after this update they will be able to download apps directly to their Wear devices. The apps developed for the previous edition of Wear OS 1.x will also work. Existing apps, developed for Wear 1.x, will also still work. 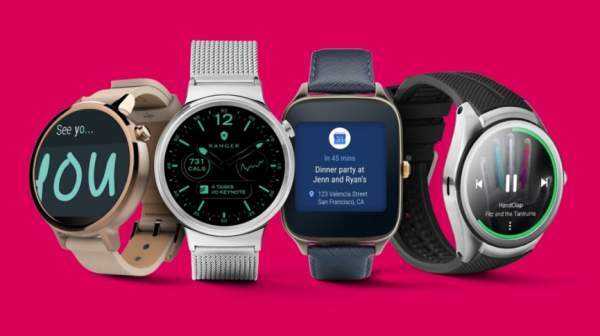 Along with the existing apps, made for Wear 1.x, Google expects to hundreds of standalone Android Wear apps for the launch period. Are you concerned about the security with numerous apps running on your wearable device? Smartphone paired watches use the secure transfer authentication data via wearable data layer API. Apps will use the AW 2.0 new input methods for entry of username and password. This is also one of the convenient feature people were looking for. In Android Wear2.0, there will be standalone play store which allows to browse and download apps directly to the wearable device. Check: Apple iPhone 8 Rumors. In this new design, it has now more accommodating for round screens and specifically fit for watches. The app launcher has been redesigned, there will be push side button which will display the installed apps in a slight arc. Your interaction with the wear device has also been changed to fit in with the app launcher. You have the facility of putting your favorite app on the top by holding and dragging. Similar to the smartphones, there is action drawer at the bottom which is providing the context specific action. Check: Best Android Wear Apps. In the competition to catch up the Apple’s iWatch OS, Android will allow viewing multiple data from third party apps as the face of the watch. This what Google is calling watch face widget-complications. Hence, from now, user can see the data from Spotify and Google Fit for instance. The process of changing watch faces have also become easy and better now. For that, you just need to line up favorite face and swipe from existing watch face to access them. It is typical to type and send messages from the small screen of a wrist watch, and hence we are expecting to expand it in 2.0 with the use of new input methods. There will be a small keyboard that can be swiped out for typing, and with the help of handwriting recognition, you can draw single letters or join words. Check: Android Wear Watch Faces. With the arrival of Moto 360 Sport, Polar M600, Nixon’s The Mission, and new Balance RunIQ fitness lovers are definitely liking this type of wearable devices. In the new Wear update, there has been improvement in the Google Fit integration. Now, it includes the counting of individual activity within Fit like press-up reps etc. The workout is incomplete without music for many people. Hence, in Android 2.0, you can launch music from Spotify or other music services. Also, you can now stream tunes. Though you will connect with the cellular AW device, it won’t stop from calling and messaging. As all already know, it was tough to manage the Google notifications cards because it was making the watch face feel congested. But now with the new notification, it will be very different and easy. Now, smaller icons for the notification(s) will be displayed which are more manageable on bottom display. You also won’t miss the notification because as you raise the watch, it will pull up the card notification which you will be able to swipe up. To save the battery life Google card will be of lighter text now on a black background. It allows paying contactless. You need to load money from the bank to the device simply, and then you can use it. As we all know how google assistant is useful for us and that you are getting in AW2.0. You can now get the weather information, nearest coffee shop information on your wrist watch using your voice. This won’t be supported on an older device like Moto 360 and LG G watch. Sony also stated that its smartwatch 3 wouldn’t have Wear 2.0. LG Watch Sport and Watch Style, and the Tag Heuer Connected Modular 45 are already on sale with AW2.0 and rocking the market. Next in the list are Huawei Watch 2 and Huawei Watch 2 Classic and the Casio WSD-F20 which will be released in April 2017 and followed by the Montblanc Summit in May 2017. So, be ready to get the world at your hand, and of course to get worldwide information stay tuned to The Reporter Times.